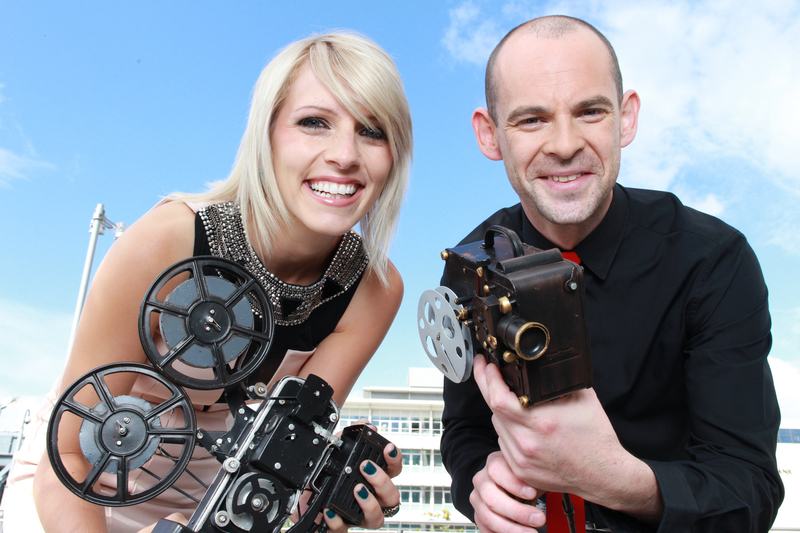 The Limerick Film Festival will be featured during the next episode of Ponc @ naMovies, at 9pm on Thursday 10th April on TG4. Coincidently they will have actor Dara Devaney with them in studio in the same programme to discuss his role in the Irish short film Rúbaí which will be screened at this year’s Tribeca Film Festival in New York , and they will also talk about how he stars in The Enigma of Frank Ryan which will be screened from 4pm at the Millennium Theatre at the Limerick Film Festival earlier that day. Ireland’s only weekly movie show Ponc@naMovies is now in its fourth season and has continued to go from strength to strength! Tune in each week as presenters Máire Treasa Ní Dhubhghaill & Colman Mac Séalaigh bring you fantastic reviews on all the top movies, together with red carpet premieres and the low down on all the latest cinema releases. Not only will Ponc@naMovies bring you the latest news from the world of International filmmaking, but this year Ponc@naMovies has dedicated a slot to all that is Irish in the movie world as we celebrate what Irish Film has to offer on both the big screen and on a local level within the national film festival circuit. Click on the Logo above or HERE for the website.